The Olympic Games are about sportsmanship, international cooperation, and athletic ability…but they’re also about gettin’ that gold. And while an Olympic medal is obviously priceless in many ways, we’re also kind of wondering: How much is an Olympic medal worth? Like, in dollars? In terms of cold, hard cash, it’s actually pretty easy to break down. If an Olympic gold medal were melted down, it would be worth about $501. This might seem low, but there’s a logical explanation: The gold medal isn’t made entirely of gold; it’s actually silver covered in a layer of gold (six grams to be exact). The melted gold and silver of a gold medal from the 2016 Olympic Games is said to be worth about $587. 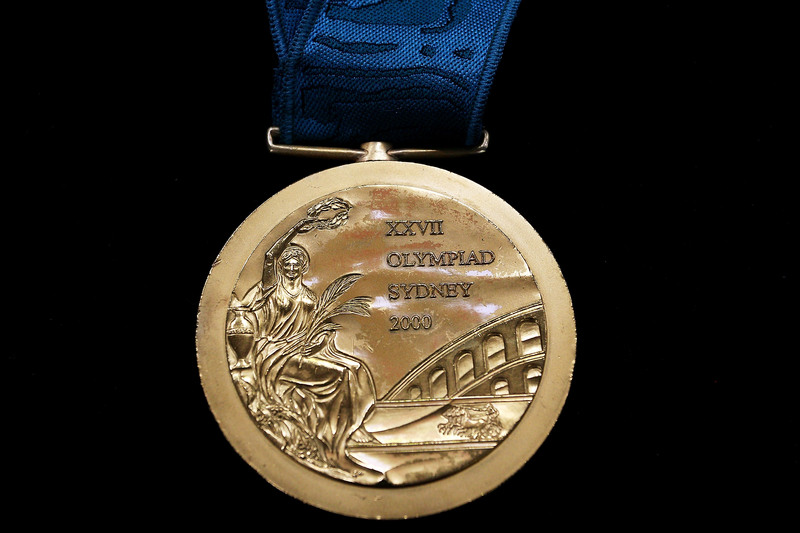 If the medal were entirely made of gold, it would be worth as much as $76,000. And fun fact: The last time the gold medals were made of pure gold was during the 1912 Summer Olympics. That being said, Olympic medals have so much prestige that they are often resold at auction for way more than their materials are worth. USA Today says that a gold medal won by a relatively unknown athlete goes for about $10,000. If a medal is really old or very rare, it can go for more like $47,000. And medals won by super famous athletes can go for millions. In terms of their materials, silver and bronze medals are (unsurprisingly) worth less than gold. Silver medals are about 93 percent silver, and if melted down, are worth a little less than $300. But, like gold medals, they’ll sell for way more if they’re rare, old, or were won by a big name. Silver medals have been known to sell at auction for thousands, even millions, of dollars. The bronze medals are worth less…a lot less. Made of a mix of metals (usually copper and something else), bronze medals are susceptible to corrosion and can turn almost greenish over time if they aren’t properly taken care of. The value of a bronze medal is only worth about $2.50 when melted down. Ouch. So there you have it! And remember — Olympic medals are worth way more than just a dollar value. Especially to the athletes who spent their entire lives working to win them.